At last week’s NewSpace Europe conference in Luxembourg, SpaceX president Gwynne Shotwell may have raised a few eyebrows. Shotwell announced that she anticipates that SpaceX will receive additional funding from the U.S. government to facilitate development of the company’s BFR—the Big “Falcon” Rocket launch system. SpaceX has acknowledged that they have already received nearly $75 million in funding from the U.S. Air Force in order to develop the BFR’s Raptor engine, and some might question why the government would be eager to provide the launch company with more financial support. Given the history between NASA and SpaceX, government funding of the company’s ambitious launch system will work to the mutual long- and short-term benefit of all parties involved. For casual observers, it may be easy to assume that the entrepreneurial and government space sectors don’t overlap much, or are mutually exclusive—when really the two are, more often than not, intimately connected. And that’s a good thing. From direct investments in private space companies by sovereign wealth funds to the establishment of business-friendly space legislation, the intertwining of government-led and entrepreneurial space initiatives has taken root, not just within the U.S., but across the globe. The Grand Duchy of Luxembourg is fast becoming the European hub for in-space resource extraction thanks to extensive government commitment. While the average person might not connect Luxembourg with the entrepreneurial space race, those in the know recognize the tiny European nation as a major player, albeit new entrant, on the global space exploration scene (a status reinforced by the success of last week’s NewSpace Europe Conference). Specifically, Luxembourg—a country smaller by area than the state of Rhode Island—has positioned itself to become the space mining capital of the European subcontinent. Luxembourg’s Ministry of the Economy, headed by Deputy Prime Minister Étienne Schneider, is at the helm of the nation’s new government-led, industry-friendly space framework—a comprehensive undertaking several years in the making. In February of 2016, the country formally announced its intentions to foster the development of an asteroid mining industry. 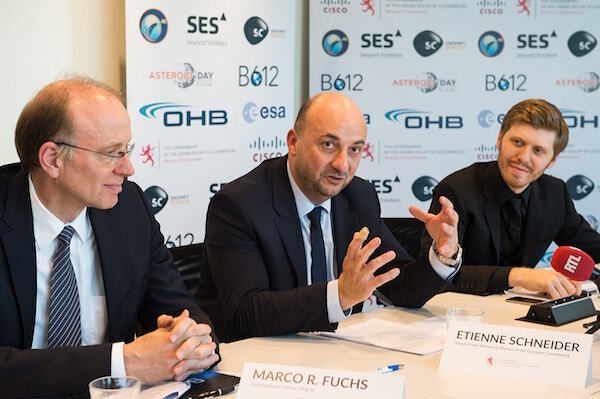 In June 2016 Luxembourg established a €200 Million line of federal capital exclusively devoted to funding commercial space mining companies, and elaborated on plans to create the country’s first national space agency. The government-run body would be very different from other national space agencies like ESA or NASA, as it would be dedicated exclusively to the commercial use of space resources—and would also be formatted as a public-private partnership between government and private funds. In July of 2016, the nation’s parliament voted to adopt “a legal and regulatory framework recognizing that space resources are capable of being owned by private companies”—a piece of legislation modeled after the United States’ Commercial Space Launch Competitiveness Act (otherwise known as the 2015 SPACE Act), and the first such bill introduced in Europe. While Luxembourg’s new asteroid mining law certainly takes cues from the Obama-era SPACE Act, Schneider has been keen to point out a key distinction between the two pieces of legislation. Whereas the U.S. law grants ownership rights to American companies funded by American capital, the Luxembourgeois law includes no such provision—essentially guaranteeing space resource extraction companies legal protection regardless of their funding origins, as long as the company maintains a presence in the nation. This nuance creates a win-win situation for all parties involved: up-and-coming space mining entrepreneurs are attracted to business-friendly frameworks and the potential for federal funding and support, while Luxembourg continues to strengthen and diversify its portfolio of international investments. All of this top-level interest in bolstering private-sector space companies isn’t without precedent—Luxembourg’s government has a history of financially supporting local commercial space initiatives. (SES / satellite industry — find specifics). (30 years later, SES has proven a sound investment on the part of Luxembourg’s government). The space industry currently represents 2% of the small country’s (impressive) GDP. It perhaps comes as no surprise, then, that the nation would hope to broaden its space-related financial holdings—or that it has identified in-space resource extraction as an enormously lucrative market in which to vest an interest. Now boasting a unique confluence of novel legal frameworks, long-term vision and government-backed private sector investment, Luxembourg has actively taking steps to attract an international host of entrepreneurial space mining outfits—and so far, it seems to be working. Beyond the influx of new businesses, Luxembourg’s model of government-supported industry has caught the attention of other nations. Per Schneider, countries such as Portugal, Russia, and China are now eager to collaborate with Luxembourg on the development of the in-space resource extraction industry. In fact, Luxembourg has recently taken steps to coordinate with the United Arab Emirates in order bolster each nation’s burgeoning commercial space interests. Space Diplomats: Since 2010, the United Arab Emirates has invested in private space companies and established a brand-new national space agency. Most readers probably don’t remember the National Advisory Council on Aeronautics (NACA), its conversion to NASA in 1958 or the early days of America’s national space administration. Rather, the majority of U.S. citizens simply accept the government agency as a venerable and perpetual backbone of the country’s space initiatives—even as popular culture embraces the emergence of the entrepreneurial space industry. Nearly 8,000 miles away from Cape Canaveral, however, a brand-new national space agency has emerged in the Arabian Desert, bringing with it all the excitement and ambition of NASA’s formative years. For citizens of the United Arab Emirates, the establishment of the nation’s very first Space Agency (known by the acronym UAESA) is an affirmation of the country’s intention to elevate itself to the forefront of space exploration—and an opportunity to expand the region’s economic dependence on petroleum by investing in the commercial space industry. The UAE announced the formation of its space agency in July 2014 with ambitious plans to send an uncrewed spacecraft to Mars in 2020. The initiative, called the “Hope Mission to Mars,” has become something of a rallying point for a new generation of would-be astronauts and scientists in the region. 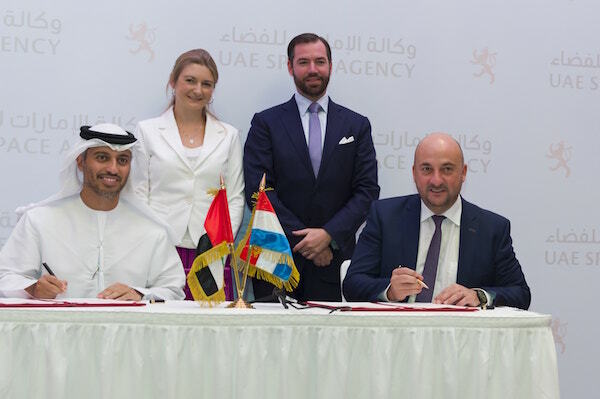 As with Luxembourg, the United Arab Emirates is also investing directly in private space companies, and has been a financial supporter of the entrepreneurial space race even prior to the establishment of the UAESA. The UAE has had a financial stake in Virgin Galactic since 2010, and owns a nearly 38% share of the company—a percentage valued at around $380 million. The UAE’s space situation is unique in the extent to which it has collaborated with international partners in these formative early years. To date, the UAE has signed Memoranda of Understanding (MoUs) with China, France, Russia, the United Kingdom, India, Japan, and most recently Luxembourg—these strategic agreements have formalized a structure for the transfer and sharing of a broad scope of scientific knowledge, technologies, and resources between the world’s most established space faring nations and the emerging space hub in the Gulf Coast region. The UAE has also entered into a collaboration agreement with NASA, which defines Martian exploration as an overlapping area of interest between the two agencies and which further facilitates UAESA’s entrée into the space exploration arena. The UAE isn’t the only nation to recently establish a national space agency: In late September of this year, Australia announced that it would include funding allocations for a space agency in the country’s 2018 federal budget. Whereas the UAE seems determined to set up lines of communication and collaboration between a multitude of international partners, however, the Australian space initiative has thus far not articulated such a priority. Rather, Australia’s agency is largely interested in bolstering a homegrown space sector and capitalizing on the industry’s economic potential. In the words of Australian senator Simon Birmingham, the as-yet-unnamed agency “is not NASA … it will be an Australian space agency with Australian interests, seeking to generate and drive investment in Australia”—a not unreasonable goal, given the country’s heavy reliance on foreign-owned satellites for data and communications (p.5). In Oxfordshire, the Harwell Space Cluster serves as the United Kingdom’s gateway to space—and a virtual microcosm of the global space effort. In southeastern England, the idyllic paysage of Chilton parish, Oxfordshire belies its national reputation as a high-tech space industry hub. 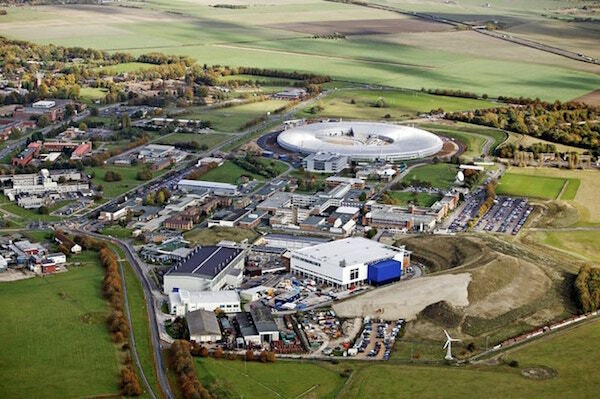 While Chilton proper may be a village of less than a thousand residents, the nearby Harwell Science and Innovation Campus is populated by more than five times that many engineers, medical researchers, physicists, and entrepreneurs. The sprawling campus is also home to a group of facilities called the Harwell Space Cluster, otherwise known as the “UK Space Gateway”—an impressive collection of major European space industry players, government agencies, research labs and private companies. Harwell houses the European Space Agency’s first UK facility, the European Centre for Space Applications & Telecommunications (ECSAT). A key area of focus for ECSAT is maintaining a close eye on the ever-evolving satellite industry and its business applications. Business opportunities and innovation within the satellite market may be something of a theme at Harwell, in fact—for in addition to the ECSAT, the space cluster is aso headquarters of the Satellite Applications Catapult, a non-profit “innovation and technology company” tasked with growing the UK space economy by stimulating the space market, empowering space technologies, and enabling space businesses. Formed just five years ago in 2013 by Innovate UK, the official “innovation agency” of the UK government, the Catapult has already delivered significant economic impact through its support of hundreds of UK businesses. While it serves as a UK base for a number of venerable commercial space industry partners (such as Lockheed Martin), Harwell’s Space Cluster is also headquarters for Space Angels-funded startup Oxford Space Systems (OSS). OSS designs and builds uniquely deployable satellite structures which result in lower launch costs for their customers. OSS has garnered recent praise for the success of their AstroTube Space Boom, a retractable “arm” to hold various systems, such as solar panels or scientific instruments, away from the main body of a satellite. In mid-October, OSS’s efforts were recognized by the UK’s Institute of Physics with a Business Innovation Award. Worldwide momentum uniting government space programs and private industry is key to achieving off-planet ambitions. Today’s space ambitions—from colonies on the Moon and Mars, to deep-space asteroid mining, to nearer-term terrestrial advances in satellite applications and global internet connectivity—will not be attainable through the efforts of any one nation alone. The hurdles to overcome, and the interests at stake, are simply too great. Rather we envision a global network of cooperative, perhaps specialized, technology and service centers working to elevate humankind and leverage the potential of space for all. As exemplified by the governments of Luxembourg and the United Arab Emirates, and as visible at the Harwell Space Cluster in the UK, private industry and government initiatives working in tandem will advance both commercial and sovereign interests for the betterment of humanity.